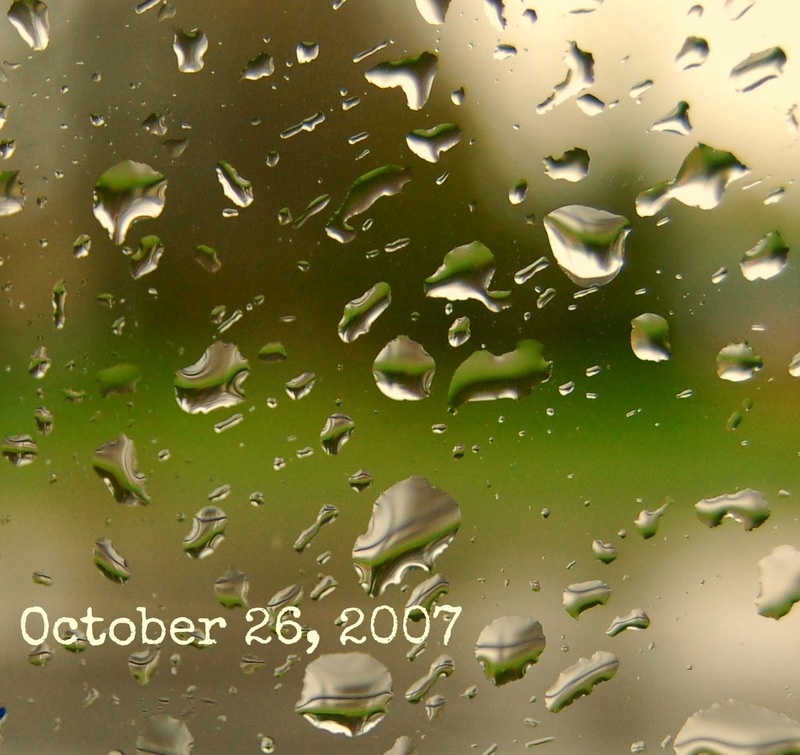 October 26, 2007 was a dark, rainy day. 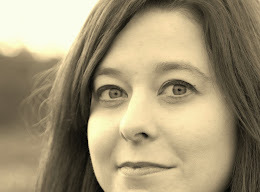 I was 8 months pregnant with my 2nd daughter and teaching in York, PA. I had gone home that afternoon, then had to return to school later that evening for a fundraiser I had organized for an upcoming trip to London with 20 of my students. Jonathan was far from pleased that I had to return to school because it was also our 5-year wedding anniversary. But duty called. So, since Jonathan was still at work, I loaded my then 19-month-old into her car seat in the back of our little 4-door Honda Civic and started the grueling trek across the river from Lancaster into York. It was during rush hour, which meant bumper-to-bumper, stop-and-go, crazy traffic. Bit-by-bit we edged our way toward our destination. Then I looked down at my temperature gauge and that little, orange needle starting climbing its way to "HOT". No, I groaned. No, I am not overheating in this traffic, not with rain beating down, not with Jonathan over in the next county and unable to come quickly to help us. No! So I took a left and headed through the city to try and 1) keep the car moving to possibly cool the engine and 2) avoid some of the piled-up traffic on the highway. While sitting at a stoplight, my phone started to ring. It was my mom who was with my sister in Virginia. My sister was also pregnant and had gone into labor earlier that morning. I had been waiting all day to hear the news of my nephew's arrival. I put my cell on speaker-phone. Mom: The baby is here . . . it didn't go well. Tearfully, she described for me how my nephew's shoulders got stuck and we nearly lost both my sister and my nephew during that delivery. It was excruciating for my sister, excruciating for her husband and my mom who could only stand by and watch, helpless. Mom: Praise the Lord, they're both safe. My throat was tight and I blinked back tears as I drove. They're both safe. I hung up the phone, reached back to my daughter in the backseat and squeezed her little baby calf. I was so thankful everyone was safe. We were nearly at school and the car hadn't overheated. Phew. I slowed the car for a bend in the road, saw a car coming toward us in the opposite lane. I realized with horror that he was not going to make the turn. I didn't even have time to scream as his car slammed straight into ours. A deafening noise of wheels screeching, the crash of metal against metal, glass shattering. Then a moment of utter stillness, with only the sound of rain on the windshield. My daughter started to wail. My very pregnant stomach had hit the steering wheel and immediately started to contract. I could not breathe. For a moment I could not bring myself to look back at my daughter for fear of what I might find. But I forced my head to turn, to see. Because she was screaming. She was scared. She needed her mama. I looked back and saw my sweet little girl, her face red from screaming, but unscathed. I couldn't reach her. My contractions were painful. I couldn't get my seat belt off. I panicked, tried to push my way out of my door which had been crunched into its frame. The driver of the other car got out and started yelling, "No! Stop! Don't get out!" I stared at him, unable to understand--why he is yelling? Why won't my door open? Why can't I breathe? Then I saw two cars--the cars who had been following me down the road--drive right through the accident scene to go on their merry way. (To this day I seethe at the thought of their dismissal of others' pain and fear for their own pressing agendas.) Once they passed, the driver of the other car--a young man whose face looked pale and scared--pried open my door. Another man appeared--an older man who lived in a house nearby, heard the accident, and came to help--and asked, "Can I help the little one?" "Can you--get her out--of her seat? I can't--reach her," I wheezed. He retrieved my daughter, handed her to his wife who had joined the scene with an umbrella. Then he came around and, with the other driver, helped me out of the car. The rain beat on my head, ran down my face and neck. I double over with the intensity of the contractions. My right knee had hit the dashboard and, already swollen, was too painful to walk on. With my arms draped over their shoulders, they helped me into the man's house where an ambulance and my husband were called. I couldn't remember my husband's cell phone number, they had to look it up on my cell phone. I couldn't remember anything. I just needed to hold my daughter who was still screaming and looking for me. They sat me on a forest green couch, propped my feet up. I pulled my daughter against me and spoke softly to her. "Mama's here. It's okay. Jesus kept us safe." We sang a little song. I put my hand on my stomach, felt the tightness of it, prayed that my other baby was safe, and tried not to panic. Another woman from a car behind me (who actually stopped) also joined us in the living room. She came over, sat beside me, and asked, "Can I pray for you?" She placed her hands atop mine on my taut abdomen, and she too prayed that no harm had come or would come to my unborn child. An ambulance arrived. By now word had spread to my school (which was right down the road) of the accident, and one of my students had come to see if she could help. When she realized I was part of the accident she ran up as they were rolling my daughter and I on a gurney out to the ambulance. She offered to ride along with us to help take care of my daughter. Oh, bless you, yes. She played and sang and told stories to my daughter the whole ride to the hospital so that when we arrived my 19-month-old was happy and giggling and had completely forgotten the horrors of the day. On and on the story goes of those who saw a need, stepped forward, and extended help. That same student--who is still a dear friend to this day--stayed with me at the hospital for several hours until my husband arrived, sat with me through an ultrasound, and cried in relief with me when we were told my baby was fine. She and a friend then went and purchased a new car seat for us so that Jonathan could drive home with our daughter . Another of my friends slept on an uncomfortable pink, vinyl chair all night so I wouldn't be alone in the hospital once Jonathan left to take our daughter home. Then I called my mom to let her know that we were all safe. We both sobbed, well aware it was a day that could have ended so very differently. October 26 is a day of remembrance for our family. A day Jonathan and I dared to commit a lifetime to each other. A day we celebrate the birth of our sweet and vivacious nephew. A day we are reminded of life's frailty. And a day when I look at my family with awe and unbounded thankfulness. Wow, Anna, this is beautiful, riveting, and poignant. I remember that day. I don't recall where I was or with whom, but someone received a phone call from Jonathan, and we prayed, anxious for news and horrified at what it might be. Hearing of those who stepped in to help and remembering the unity of shared love and concern, I'm awestruck by God's everywhere-ness. He was with you and for you, orchestrating so many details of which I'm sure we'll never even know. And to think of your sister and nephew, of your anniversary, sharing that same day...what a story! Thank you for sharing! Indeed God's everywhere-ness always leaves me in awe (and grateful). It is a day I never want to relive, but a day from which I've learned so much. Thanks, Alison. Praise the Lord you all were ok. Thank you, Bonnie. We are still praising! Wow! I remember that day; I never knew the extent of that accident. I remember being at the school and waiting for Nicki and wondering where she was. Then I got a phone call from her and took her car to go get food and meet you all at the hospital. The rain that night was relentless. Yes, that day could've ended quite differently, but thank God it didn't! So glad everyone was okay. Thank you, Trinity! You too were such a blessing that day! You had a beautiful end to a terrible day and I am thankful you and your little girls are still on the earth. I've had reason to be grateful days like that aren't every day a time or two in my life, but they do tend to force us to stop taking life for granted and look for the stars, as you mentioned in your post a time or two back. Thank you for sharing that day in your life with us. Thanks, Danni. Yes, those days do tend to be perspective-changers. Though I am glad I don't have days like that every day. I feel like in this case once is enough. I was brought to tears by your experience and am so thankful for your safety and that of your daughters. An amazing life-changing experience for you and your entire family. How thankful I am that we have Jesus to give all our fears and anxieties to, and amazed how He turns near death experiences into celebrations of life! Amen and amen, Marty! I too am so thankful.